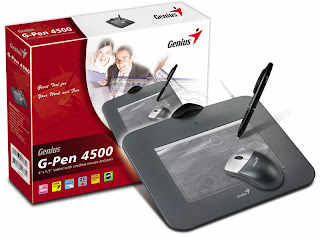 Just bought a Genius G-Pen 4500 digitizer tablet for myself. Mainly for drawing simple sketches and diagrams. Got it for MYR160 (~=USD50), which is relatively cheap compared to other tablets (Wacom and Genius) I found at LowYat plaza which averages at MYR400-800 (~=USD115-230). The driver for the tablet is not available in the Fedora and RPMFusion repos, so I had to grab the sources from LinuxGenius GoogleCode page and compile it. (I've put together a RPM here : http://izhar.fedorapeople.org/wizardpen/). "CSL G2" Android Phone ??? - New Toy in Town? CSL, a Malaysian phone brand looks like just had a new toy in town. GEOGLE?? is that a typo or is that an immitation brand? MYR 699 ~= USD 200. Grok, like Plone uses the Zope way of storing data - Persistence, somewhat like 'pickling' in Python. All instance of objects are treated not as tables like in frameworks such as TurboGears, but as normal runtime class instance objects. There are no need to think of SQL, neither designing a database. Just dump the objects into the ZODB. This is the stereotype for a persistence class. Classes that inherits this stereotype are addable and can store persistent data. This stereotype give a class a folder-like ability to store children. Inherit from this class if you want to create objects which can store another object. This is the stereotype of a persistence class which can be added at the root of the Zope3 site. *yawn*.. been a while since I last posted anything technical here. So some update. 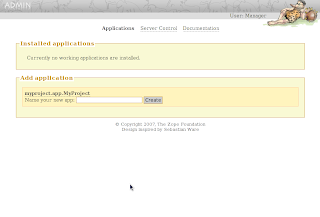 I just started playing with Grok while trying to understand more on Zope3 stuff. So this post and the next few posts will focus mainly on Grok and how to do stuff on it (from my understanding). That command will create another buildout with grok and zope3. FOSS.my 2009 is back and is coming your way this 24th and 25th of October . The registration page is up and accepting registrations now. Check out the pricing below. The price is slightly more then last year’s RM50 but it’s worthwhile I feel. Check out what you get, check out the schedule. Register for FOSS.my 2009 now!